Fewer and fewer green field sites are available these days, so developers are increasingly turning to brownfield sites; many of which might have contamination and dereliction issues. Land Remediation Tax Relief (LRTR) can help reduce the costs of undertaking these regeneration projects. Unfortunately, despite being available since May 2001, there are still too many companies unaware it even exists and sadly their accountants & lawyers too, do not seem to know of this valuable incentive or how to claim. LRTR is available to traders and investors, on both commercial and residential developments. The relief is available at 50% or 150% of the qualifying land remediation expenditure, which can yield tax savings of between 9.5% and 28.5%, using the current 19% standard rate of corporation tax. Qualifying Land Remediation Expenditure can be claimed for tackling pollution, natural issues, such as radon, arsenic or Japanese Knotweed or remediating long term derelict land etc. As you might expect – with up to 150% tax relief available – there are conditions that carefully control which companies are entitled to this valuable tax relief and specific criteria that must be met before a claim can be successfully made. 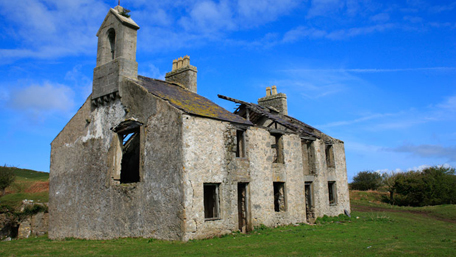 First introduced in May 2001 the LRTR rules were tightened considerably from April 2009, when the relief was extended to include the demolition of certain features on long-term derelict land. LRTR was mooted by Office of Tax Simplification to be scrapped in March 2011, but reprieved in Budget 2012, in recognition of the negative impact its withdrawal could have had on the housing industry. However LRTR remains a complex area of property tax, but well worth investigation by any companies undertaking regeneration projects involving remediation of contaminated land, or long term derelict site - being brought back into economic use - as the tax savings can be very significant. For more information call a member of our team on 0345 230 6450 or by completing the adjacent enquiry form for a no obligation, no fee initial discussion. From our experience you’ll most likely be surprised at what we can achieve.